Post 1000 Members with less than on (1) year of membership are welcome. Post 100 members with more than one (1) year of membership must be signed in by a Post 291 member. 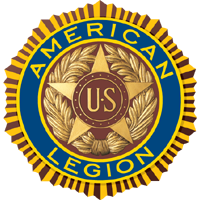 Al Post 1000 members are expected to affiliate with a California American Legion Post after one (1) year. Legion members may sign in up to five (5) guests. Auxiliary and Sons may sign up to three (3) guests. The guest number may be added together for couples that each possesses a membership card, not to exceed eight (8) guests. Minors under eighteen (18) years of age are prohibited from sitting or standing at the bar and bar area. Minors under twelve (12) years of age are not permitted on the dance floor while dancing is in progress. Post Officers, Bar/Restaurant Staff, and Security reserve the right to refuse service and/or request removal from the premises any patron who appears intoxicated, fails to act in a responsible orderly manner, inappropriate behavior, poses a safety risk to others, or inappropriately attired. Refusal to leave the premises when requested by authorized Post personnel can result in being escorted off the premises, suspension of Post privileges, or other disciplinary actions to include arrest by law enforcement and filing of criminal charges. Removal of open containers of alcoholic beverages from the Post is prohibited. Walking or climbing on seawall is prohibited. No fishing from any Post facilities. Members and guests must be dressed appropriately to include shoes and shirts in all areas of Post facilities, including Bar and Patio. Bathing suits (wet or dry) and bare feet are prohibited. Appropriate bathing suit cover-ups are acceptable. The transport of sand or seawater into the building, patio or parking lot is prohibited. No food or drinks on the beach area in front of the Post patio. Beach patrons are required to keep the beach area clean and free of litter and toys must be cleaned up after each use and put away. BBQ grills are only for use of adult members who purchase food from the Post kitchen. No food or drinks may be brought onto the Post. Children under the age of eighteen (18) are prohibited from use of grills. Post 291 is a smoke free facility inside and outside. Smoking of any materials is only authorized in the parking lot twenty-five (25) feet away from the Big Top Patio fence. This includes E-Cigarettes and Vapor producing devices. Dogs (except documented service dogs) are prohibited from all areas of the facility except the parking lot. Any dogs that are not well mannered, including continuous barking, must be removed from the premises. California Penal Code 365.7 PC covers service dog fraud and can be described as knowingly and fraudulently representing oneself, either verbally or in writing, to be the owner of a “Guide Dog” or “Service Dog”. Children under the age of eighteen (18) must be accompanied by an adult at all times. Members are excluded from private events unless invited. The guest number may be added together for couples that each possesses a membership card, not to exceed eight (8) persons. Removing Post property of equipment from the facility is prohibited without the prior permission of the Post Commander or his designee. Post 291 members, SAL and Auxiliary must sign all guest into the guest log. ALL guests must be properly escorted onto the Post and accompany the member representative at all times. Members are one-hundred percent (100%) responsible and liable for their guest’s behavior. If a Post member leaves the Post property for any reason, their guests must also leave the property. Any Officer of the Post, bartender, or security personnel has the authority to remove a member or guest from the facility for inappropriate behavior, dress or intoxication. Refusal to leave the premises when requested by authorized Post personnel can result in being escorted off the premises, suspension of privileges, or other disciplinary action up to and including an arrest by law enforcement filing of criminal charges. No visiting boats are permitted to tie up in red loading area under crane. The only animals allowed on the Post during hours of operation are Service Dogs, as define by the Department of Justice (DoJ). Officers of the Post, Officer of the Day, or Security Staff can ask you specific questions related to your service animal. Please understand this is for the protection an safety of ALL members, guests, and employees of the Post. If you bring a non-service animal into the Post, you will be asked to leave the premises. Service dog fraud is a misdemeanor in California, and the potential penalties include summary probation, up to six months in county jail and/or a fine of up to $1,000. Violators will be escorted out by Security or Post Officer.